Jamie Murray Wells is the founder and Executive Chairman of Glasses Direct, which he started at university. High-street opticians charge an average of £150 per pair of glasses, but in 2004 Jamie found a way to offer the same products for substantially less on the web. 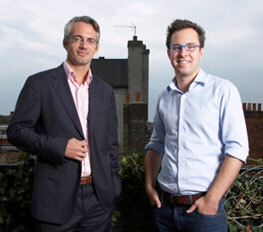 Despite early threats of legal action, and pressure on his suppliers from high street brands, Jamie fought to fully establish Glasses Direct in the optical market place, and seven years later, the 28 year-old has seen the company grow to become the largest online retailer of prescription glasses in Europe. The company now ships a pair of glasses every few minutes round the clock, and has saved the UK public in excess of £40 million pounds on their glasses. Accolades for his work building Glasses Direct, include the CBI Growing Business, Shell Livewire, and Esquire Young Entrepreneur of the Year awards; the NatWest Entrepreneur of the Year Award and Daily Mail Enterprising Young Brit. Outside of the office, Jamie holds positions at the Prince's Trust where he is a volunteer mentor to their aspiring entrepreneurs, New College Swindon (Glasses Direct’s home is in Swindon) as a governor, and Hearing Direct as Chairman of the business. He is also a regular advisor to the government on their new enterprise strategy. In 2009 the Prime Minister recommended that the Queen recognise his work inspiring others, with her Queen’s Award for Enterprise Promotion. Jamie is also a regular speaker and media commentator/writer on enterprise and current affairs for national newspapers and broadcasters. Subjects he covers have included the postal strike, pre-budget reports, and capital gains tax. He has appeared on BBC News, Tonight, GMTV, Sky News, and is regularly quoted in a variety of newspapers including the Financial Times and the Daily Telegraph. Kevin Cornils is Chief Executive Officer of Glasses Direct, the leading online direct seller of glasses, backed by venture capitalists Index Ventures, Highland Capital Partners and Acton Capital Partners. Kevin joined Glasses Direct from buy.at, now the UK's leading specialist affiliate advertising network, where he was recruited following an investment by venture capitalists DFJ Esprit in 2006. Kevin and the team grew the business from £12m in turnover with 25 staff to over £40m in turnover and 100+ staff, including a launch into the US market and negotiating a strategic acquisition. In February 2008, he successfully led the sale of the business to AOL's Advertising.com. AOL then extending his role to UK Managing Director of Advertising.com, which operates the industry's largest advertising network. Prior to buy.at, Kevin spent four years with consumer internet blue-chip Match.com where he was ultimately Managing Director, Europe and successfully led the development of the business to become the European market leader in online dating with revenues in excess of $75m. Kevin's previous experience also included work as a strategy consultant with Bain & Co. in London and as an investment banker with Credit Suisse First Boston in New York, Moscow and London. Kevin holds a Masters in Business Administration from Harvard Business School and a Bachelors degree in International Economics from Georgetown University. Kevin lives in London with his wife Katya and daughters Lydia and Mila.